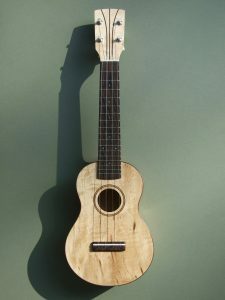 Body: Maple with Walnut binding to the top. 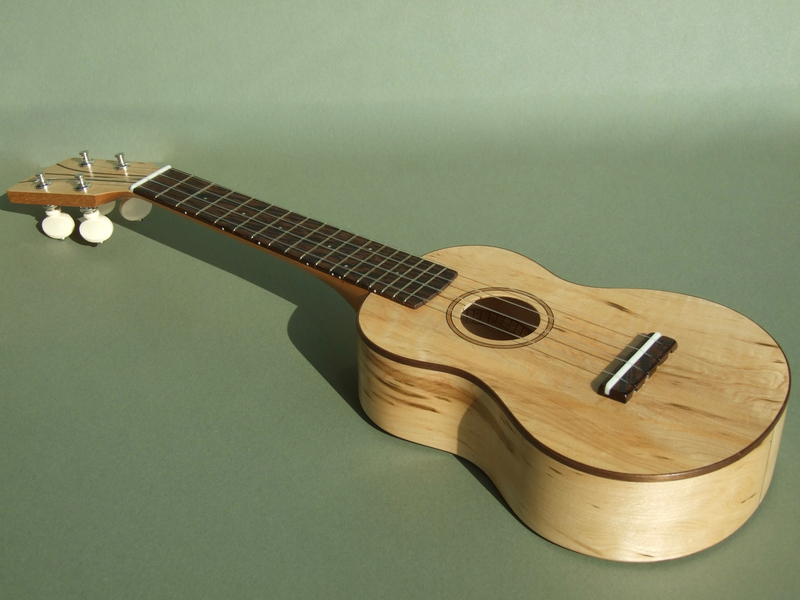 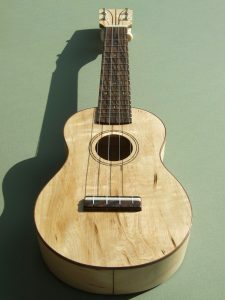 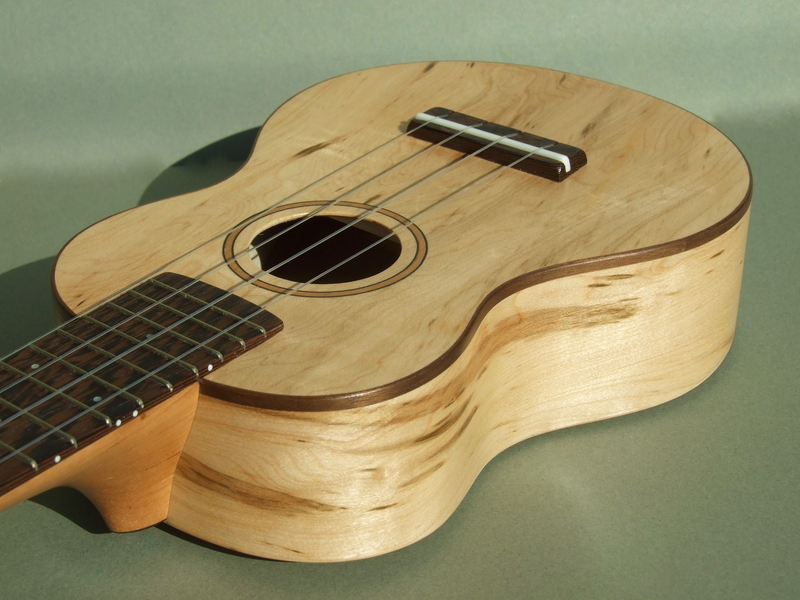 Neck: Spanish Cedar (Cedrela) with seventeen frets in total and 36mm wide at the nut. 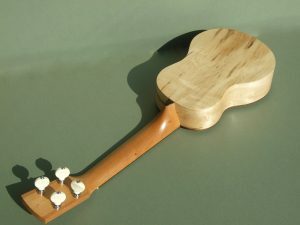 Fretboard: Wenge with abalone fret inlays and acrylic side dots and a corian nut. 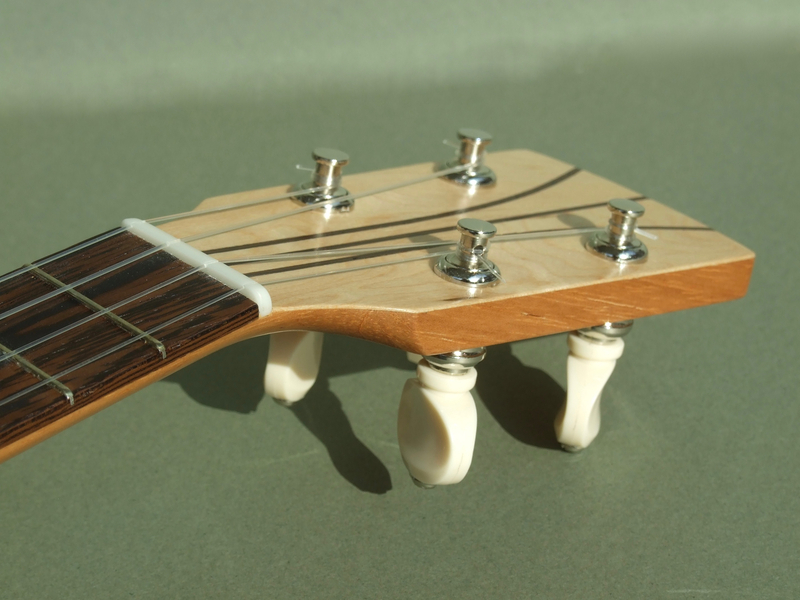 Bridge: Wenge with a corian saddle.